The definition of a coincidence is a remarkable concurrence of events or circumstances which have no apparent causal connection with each other. However, there are some coincidences like the ones on the list given below which are so bizarre and unbelievable that these coincidences cannot be caulked up to being a result of a random occurrence explained by the theory of probability. In Ohio during the year of 1895, cars were rare, with multiple-car crashes being nonexistent. This was because, during that year, car production was only just starting to take off with only two cars in the whole state of Ohio. The bizarre coincidence is that the only two cars in the whole state managed to run into one another, what do you think is the probability of that happening? Almost nonexistent right, we thought so as well. Do you know if you have had or will have (in the future) a famous neighbor? No, neither did these major influencers of music. George Handel and Jimi Hendrix were neighbors, just that they were separated by a couple of centuries. 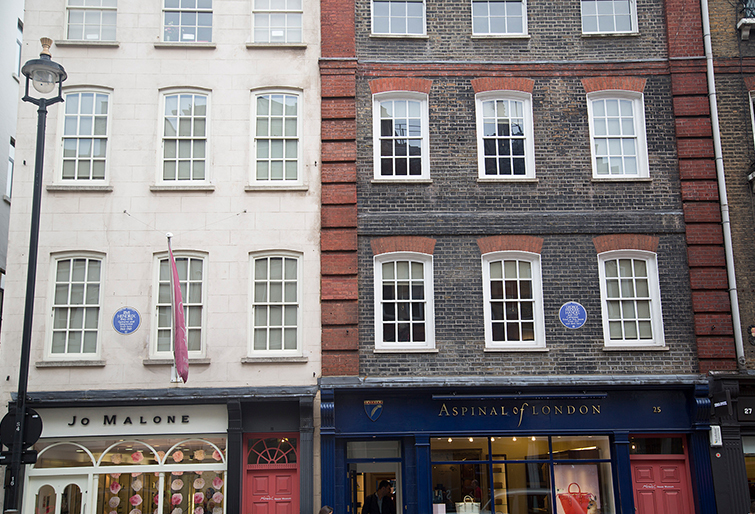 Hendrix lived at 23 Brook Street in London for a while with Handel living in 25 Brook Street, making them neighbors across time. 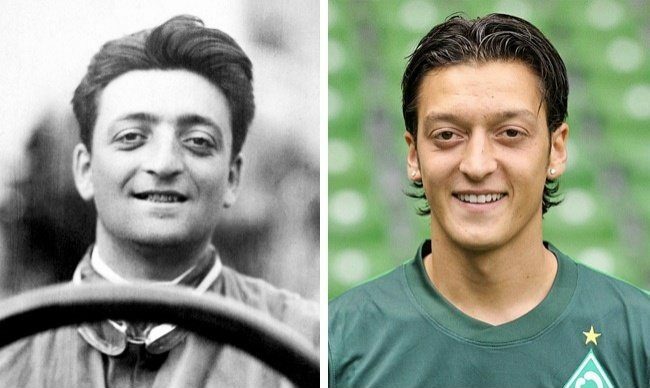 The portrait of the founder of the Ferrari company, Enzo Ferrari who died on 14 August 1988 can be seen above on the left while a portrait of Mesut Özil who is a well-known footballer is placed on the right. Can you see the similarities? Don’t they look exactly alike, almost like twin brothers? But did you know that while Ferrari died in 1988, Özil was born on the 15th October, just a few months after Ferrari’s death? Bizarre, isn’t it. 4. A Beauty Who Traveled Through Time? 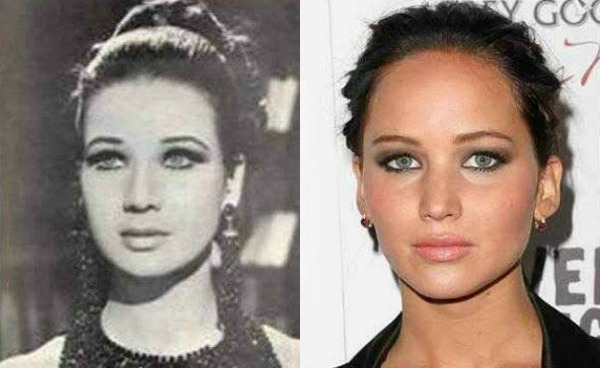 On the left, we have the Egyptian actress Zubaida Tharwat while on the right we have the brilliant Jennifer Lawrence. While both can be considered to be the pinnacle of beauty, they also to extremely similar, almost like Tharwat time traveled to the current era to once again become famous. 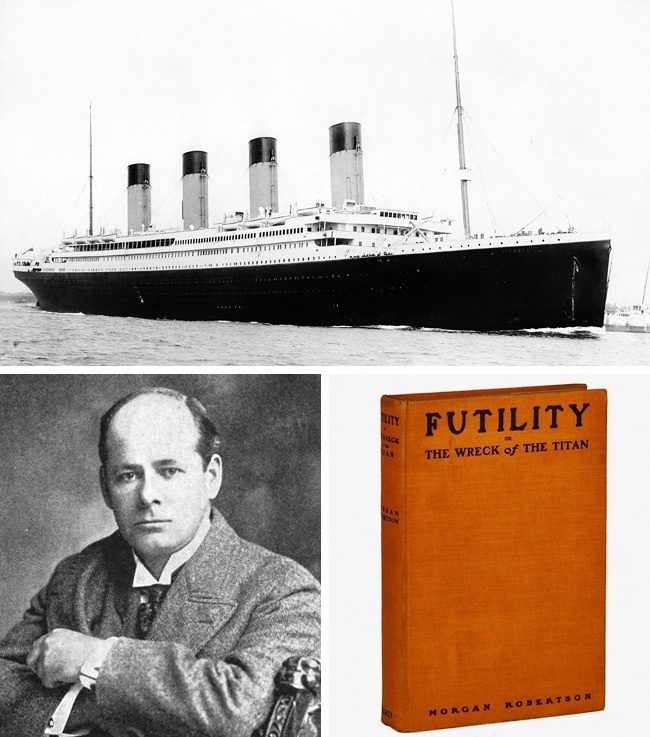 This may be a very spooky coincidence by fantasy writer Morgan Robertson as he may have foreseen the sinking of the Titanic in his book, Futility, 14 years prior. The book describes the journey of a ship named The Titan which was said to be unsinkable while having similar characteristics as the Titanic. The fictional ship also lacked sufficient lifeboats as well as crashing and sinking due to North Atlantic icebergs. After the sinking of the Titanic, this book was republished by the name The Sinking of the Titan. 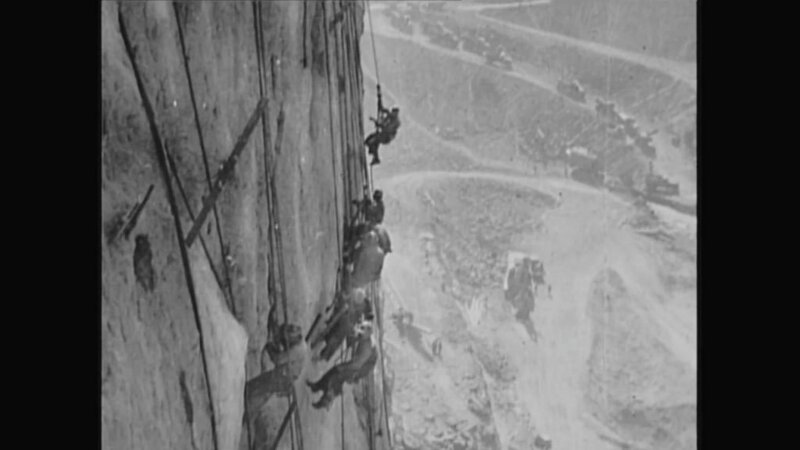 Over a hundred men lost their lives during the building of the iconic Hoover Dam. The first of these men was George Tierney that died on 20th December 1922. The bizarre coincidence of Hoover Dam becomes evident here because the last person to die during construction died on the 20th December as well, and the person who died last was the son of George Tierney, Patrick Tierney. Edgar Allan Poe was known for his writings, even before his death. 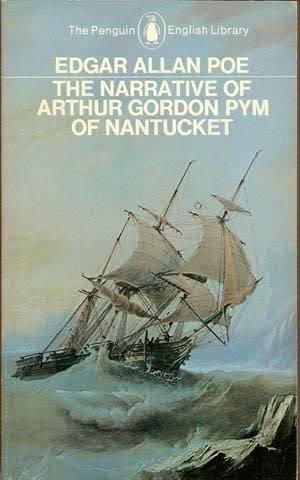 His book, The Narrative of Arthur Gordon Pym of Nantucket was claimed to be based on real life events but wasn’t believed to be so at the time. At least no one believed Poe until 46 years after the writing of the book where a crew of a sunken boat was rescued. These sailors recounted that they had been forced to eat a ship boy named Rickard Parker to survive. This exact story was described with the ship boy being eaten also named Richard Parker in the fictional book. This led to rumors that Edgar Allan Poe has used a time machine to travel ahead of time for his inspirations. Both were killed by a gunshot to the back of the head. Both died on a Friday. Both died before a public holiday, Lincoln before Easter with Kennedy on Thanksgiving eve. Both were together with their wives and another couple each. Both had known a friend called Billy Graham. Lincoln’s secretary was called John while Kennedy’s secretary was called Mrs. Lincoln. Both their successors were vice presidents called Johnson. 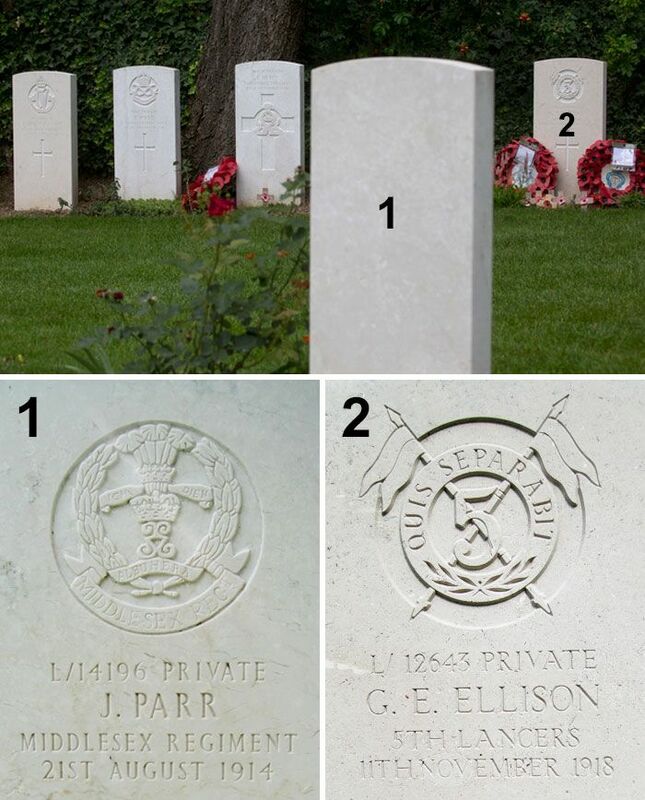 Another mysterious but eerie coincidence occurred when the grave of the last soldier who died in the First World War, George Edwin Ellison, was buried just 6 meters across from John Henry Parr, the first British soldier killed in the First World War. In 2000, the writers of The Simpsons created an episode that made us laugh, on Donald Trump becoming the American President. 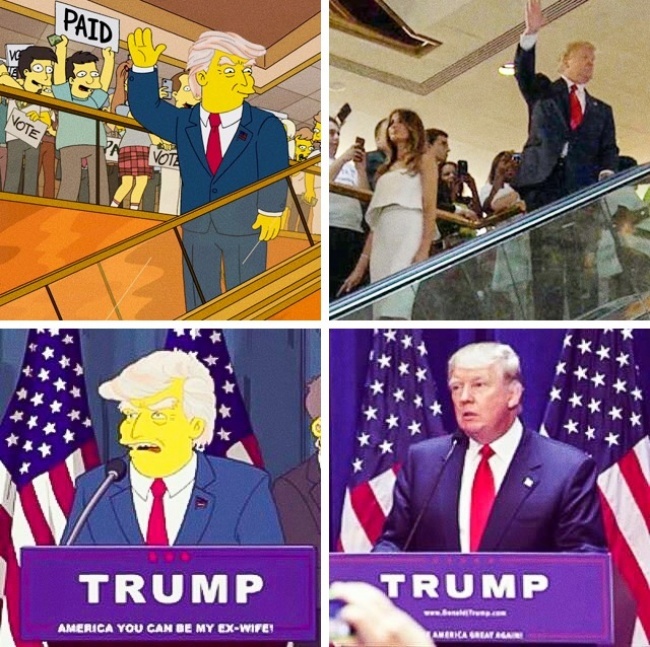 This 16-year gap between fiction and reality can be labeled as a bizarre coincidence unless the creators of The Simpsons had already predicted Trump’s Victory beforehand. Another amazing fact about this episode about The Simpsons is that there are identical scenes between the cartoon and the current president’s rallies and conferences. Do you know of more mysterious and bizarre coincidences that can’t be explained by science? If so, let us know below and we will add those to this list.